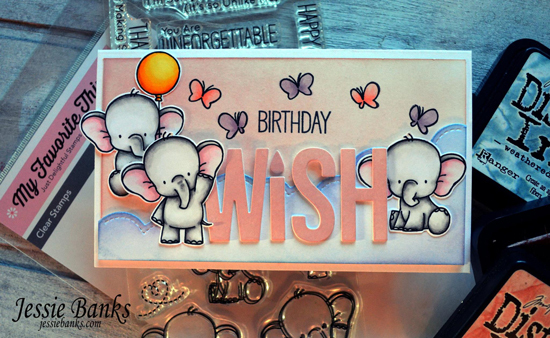 Jessie created a birthday-themed card with the Happy Hippos stamp set and the large Wish Die-namics as her focal sentiment. 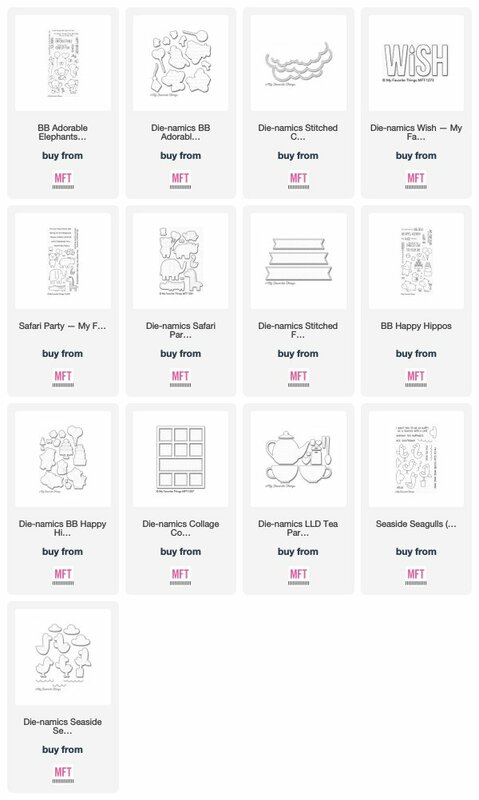 We love how she tucked one of her hippos behind her greeting and added the large cloud as a backdrop for her scene. 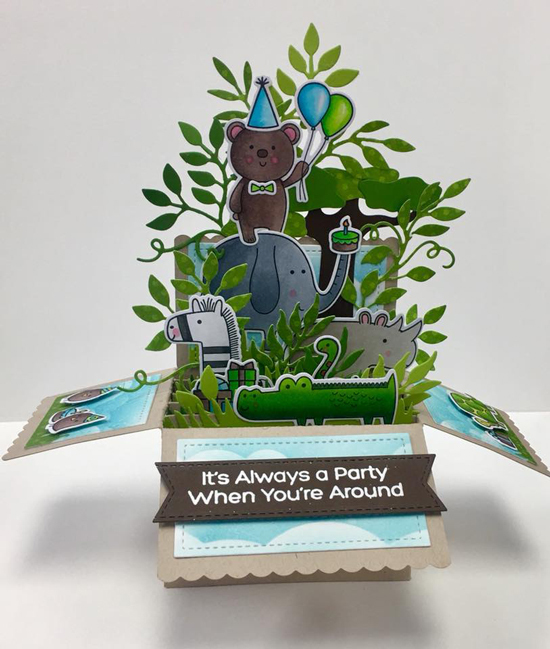 Beth created a gorgeous interactive box card featuring a collection of safari animals, surrounded by greenery and clouds to complete her jungle scene. She added a white embossed sentiment on a brown sentiment strip to coordinate with her neutral color palette. 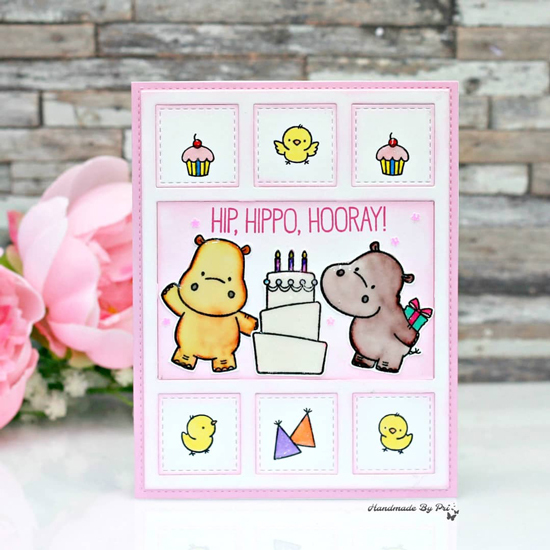 A hippo party is always in style - Pri created a fun and festive card design featuring a duo of the adorable Happy Hippos with a trio of chicks to complete her birthday celebration. 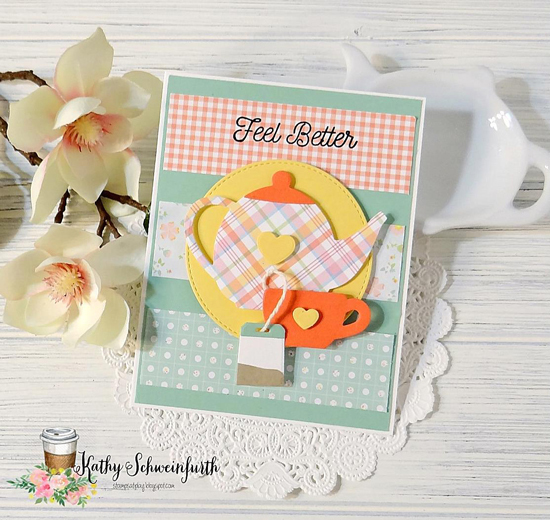 A handmade card featuring a soothing cup of tea is a great way to send get well wishes to someone who needs them. Kathy created a beautiful, heartfelt card with a gorgeous color palette sure to brighten anyone's day. We love how Hilary created an outdoor scene with the various elements separated by the Bold Stripes Cover-Up Die-namics. 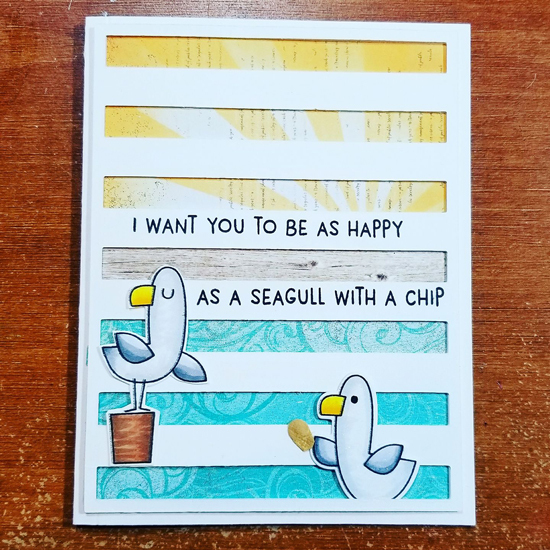 The layers on the background die are perfect for the stamped sentiment, with the seagulls tucked underneath.